What are the fireworks laws in DC, Maryland and Virginia? The nation has been largely faithful to a founding father's advice to celebrate the Declaration of Independence with "bells, bonfires and illuminations." But what are the laws around personal fireworks around the D.C. area? Avoid the traffic, enjoy the show: Fireworks displays in Md. and Va. Many would rather not brave the traffic around the National Mall on July 4 — but it doesn’t necessarily mean missing out on fireworks. Here are some selected shows in Maryland and Virginia. The nation has been largely faithful to the Founding Father’s advice. There are legally approved professional fireworks displays throughout the D.C. area but personal use of most fireworks is illegal throughout the national capital area. Violations can draw a fine of up to $2,500 and up to a year in jail. Nearby, only West Virginia allows consumers to buy firecrackers, sky rockets, bottle rockets and Roman candles. Here’s a list that highlights the fireworks laws in various areas around the District. Illegal: Firecrackers of any kind, any firework that explodes — such as cherry bombs, salutes and Roman candles — and sparklers longer than 20 inches. See the full list on the Metro Police Department site here. Permitted: Sparklers less than 20 inches, torches, cones, box fires and fountains. Any firework that explodes or launches a projectile in the air or moves on the ground is illegal in Maryland, including firecrackers, cherry bombs, black cats and M-80s. Calvert County: The only legal fireworks are sparklers and ground-based sparkling devices that are non-aerial nonexplosive. All other fireworks are prohibited. Charles County: Hand-held sparklers and ignitable snakes are allowed. 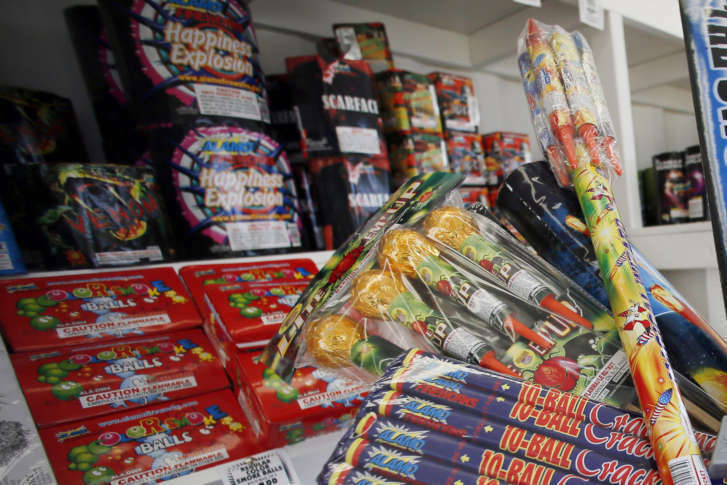 Frederick County: Only gold-label sparklers, novelty items and ground-based sparklers are legal. Prince George’s County: All consumer fireworks, including sparklers, are prohibited. 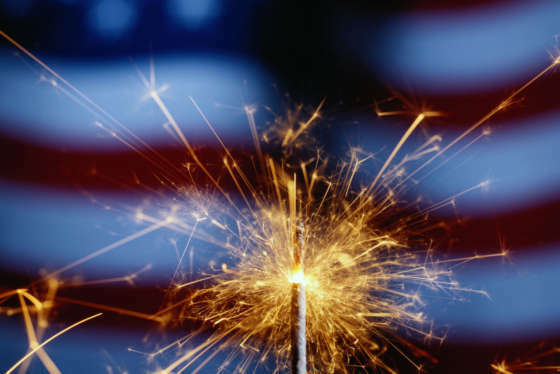 Montgomery County: All fireworks, including sparklers, are illegal. Violators face a possible $500 fine. Explosive fireworks and fireworks that launch aerial projectiles are illegal in Virginia. Illegal devices include firecrackers, cherry bombs and bottle rockets. City of Alexandria: All fireworks, including sparklers, are illegal. The city warns of fines of up to $2,500 and up to 12 months in prison for those who set off illegal fireworks in the city. Arlington County: Sparklers, fountains, Pharaoh’s serpents, pinwheels — also known as whirligigs — or spinning jennies are permitted. Fairfax County: Same as Arlington County. City of Falls Church: All fireworks, including sparklers, are banned in the city. Fauquier County: Sparklers and fireworks that don’t project into the air are allowed. Manassas: Sparklers, fountains, Pharaoh’s serpent and pinwheels are permitted. Manassas Park: Same as Manassas. Prince William County: The county says it has a zero tolerance for illegal fireworks. Sparklers, fountains, Pharaoh’s serpents and pinwheels are allowed. Spotsylvania County: Sparklers and fireworks that don’t explode in the air or travel on the ground are permitted. Stafford County: Sparklers, fountains, Pharaoh’s serpents and pinwheels are allowed. Fredericksburg: Same as Stafford County.